Your love for her is everlasting, just like the diamond in this precious heart pendant. Finely crafted with solid 100% 14k rose gold and a genuine diamond. 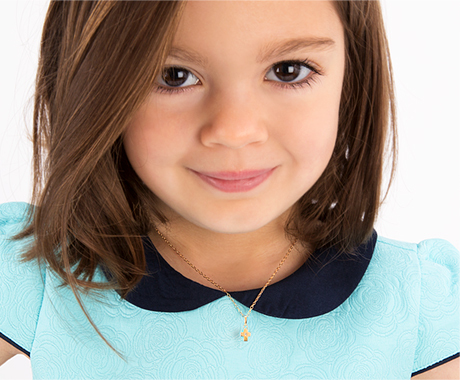 This necklace is hypoallergenic, making it perfectly safe and comfortable for children. Perfectly petite, this pendant is a subtle yet invaluable addition to every girl's jewelry box. A classic style with a dazzling genuine diamond, she is sure to treasure it forever!